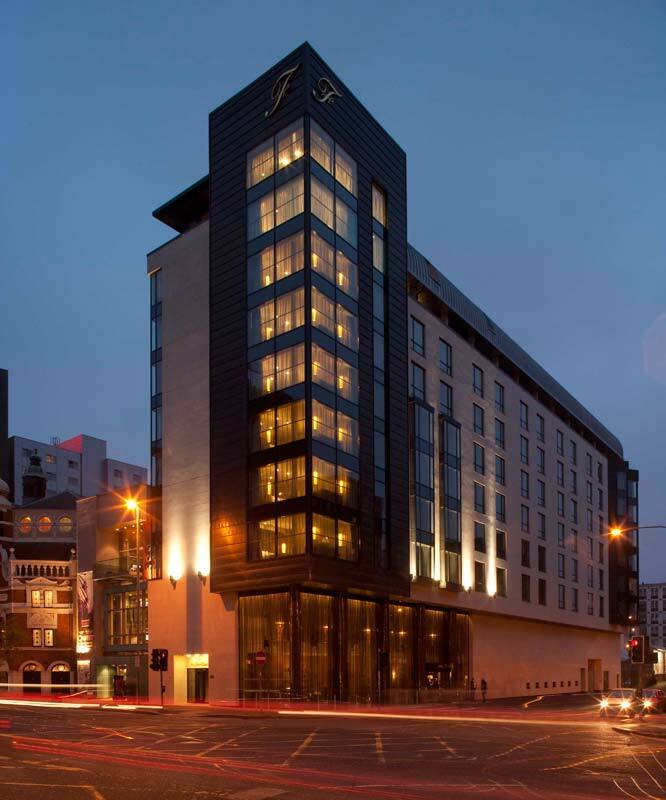 This centrally located luxury hotel is situated next to the Grand Opera House. 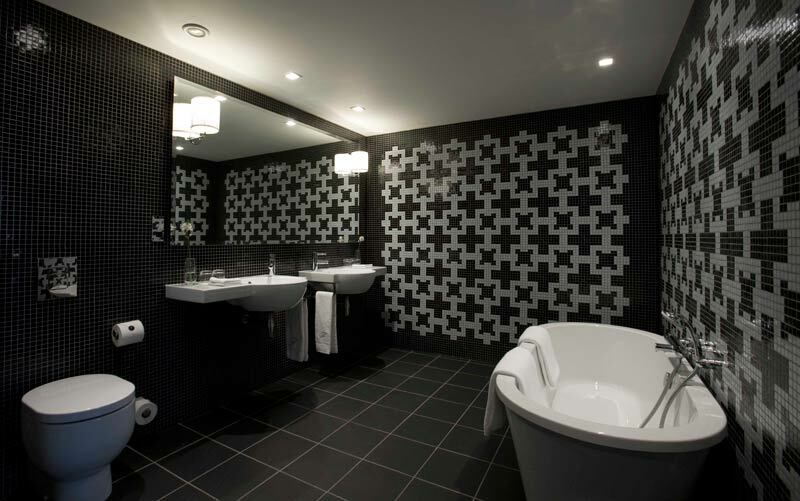 Its tasteful interior design combines vintage charm with modern comfort, achieving a quintessential elegance. Soft yellow and green tones sweep through the suites, perfectly complementing the dark wood surfaces. 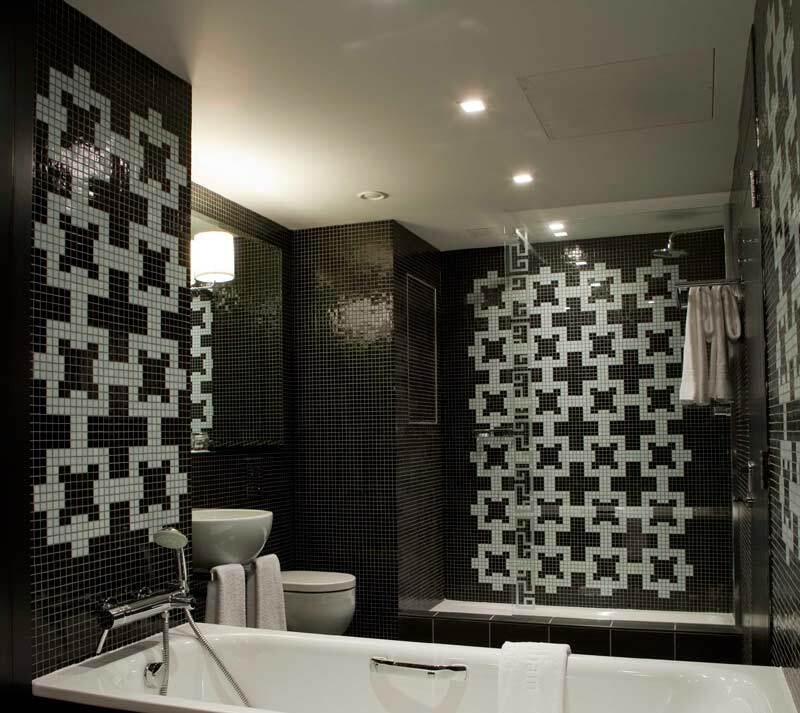 The clear lines and striking patterns of the monochrome tiles imbue the bathrooms with a stylish ambiance. 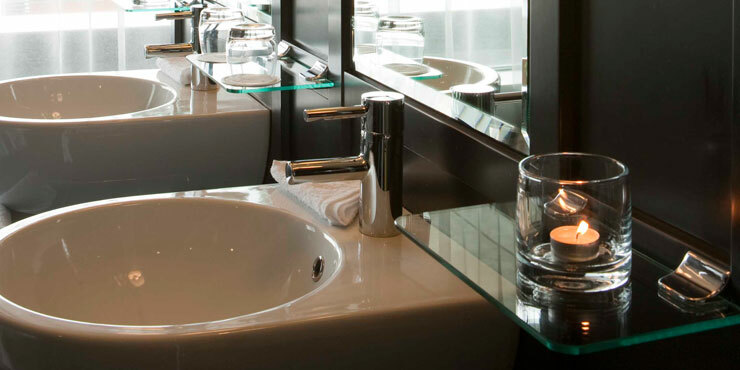 The beautifully simple GROHE Essence fittings for the basin and bath fittings the overall composition of the bathroom, providing a perfect flow of water for a sensual and relaxing water experience.